Here’s a shoutout to Mrs. Reynoso’s 4th graders at John Drugan School in El Paso, Texas! 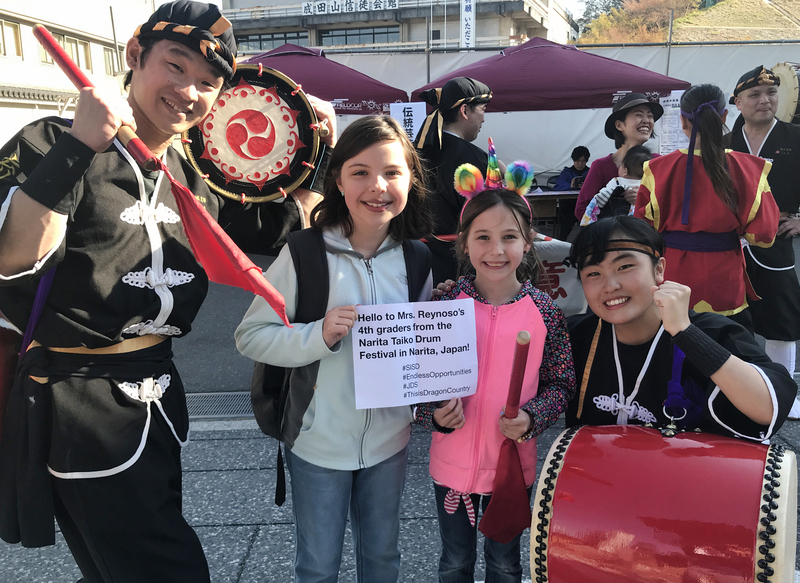 Today we were at the Taiko Drum Festival in Narita, Japan. Next Post: Taiko Drum Fest!